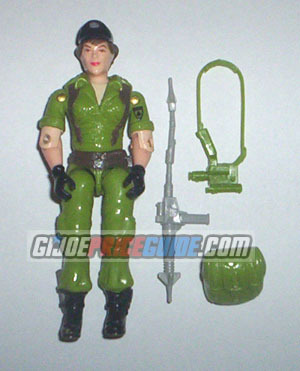 NOTES: Lady Jaye's gun and camera are a soft, rubbery plastic. Check to see if her silver belt buckle and silver hat logo have any paint missing. Silver paint always seems to be the first to go.